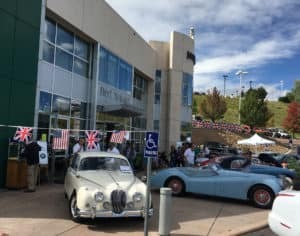 On Sunday, September 30, Jaguar Colorado Springs will host the British Motoring Festival and Pikes Peak Concours d’Elegance, a free event for the community. 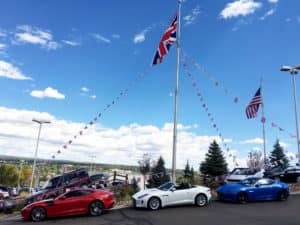 Presented by Jaguar Land Rover Colorado Springs and the Jaguar Club of Southern Colorado, this annual show and competition features a plethora of Jaguar Cars and SUVs representing nearly every decade in the history of Jaguar vehicles. British Cars, Motorcycles, and Utility vehicles owned by local residents. You will see MG, Lotus, Bentley, Mini, and maybe even a Morgan. 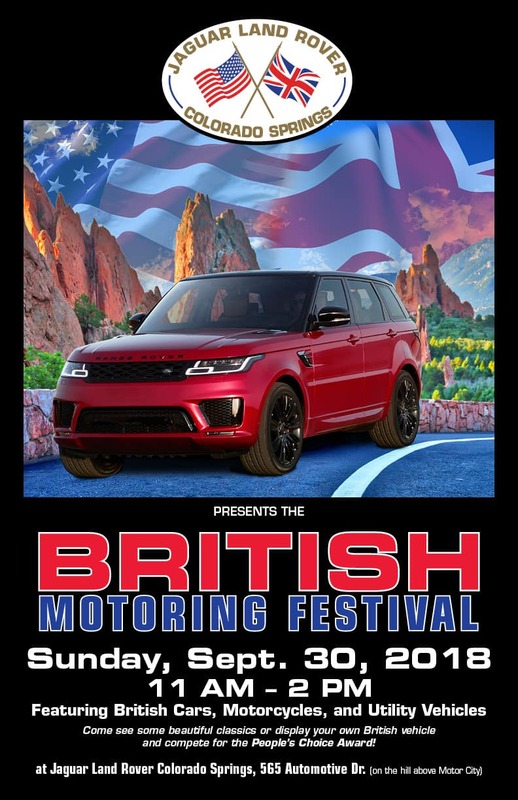 Colorado motor enthusiasts will have the opportunity to get up-close to an unique, antique, and striking collection of British vehicles. The Jaguar Land Rover building and parking areas at 565 Automotive Dr. will be opened up exclusively for the Festival & Concours, which runs from 11am to 2:00pm. A local eatery, Jack Quinn’s Irish Pub Catering, will be on site cooking up their famous Fish & Chips for those who want to grab a bite for lunch. 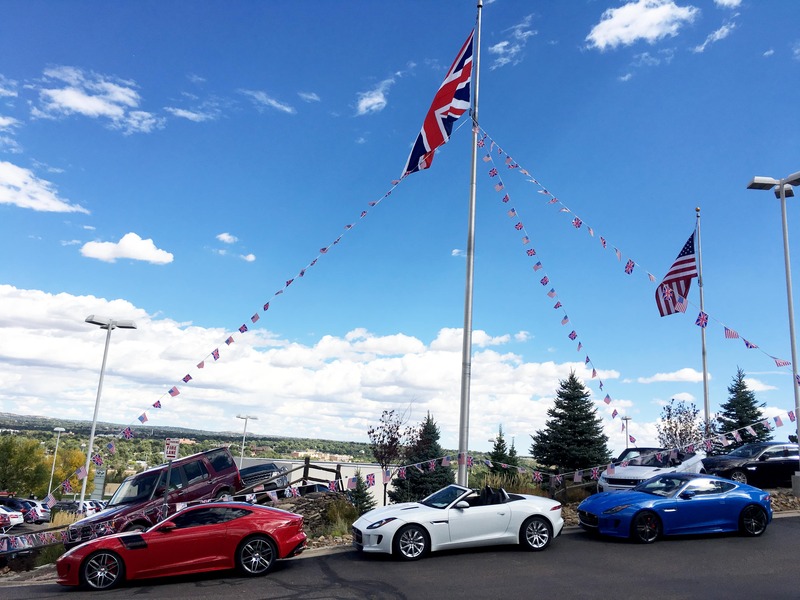 Jaguar Land Rover Colorado Springs has hosted the festival since 2006 on Saturdays, but now hosts these on a Sunday. As such, the sales, service, and parts departments will be closed. However, there will be a “swag” tent, where enthusiasts can purchase Jaguar Land Rover clothing, keychains, and other accessories. The latest Jaguar lineup of performance luxury vehicles at the 2016 British Motoring Festival.